I’m really excited about this new project! 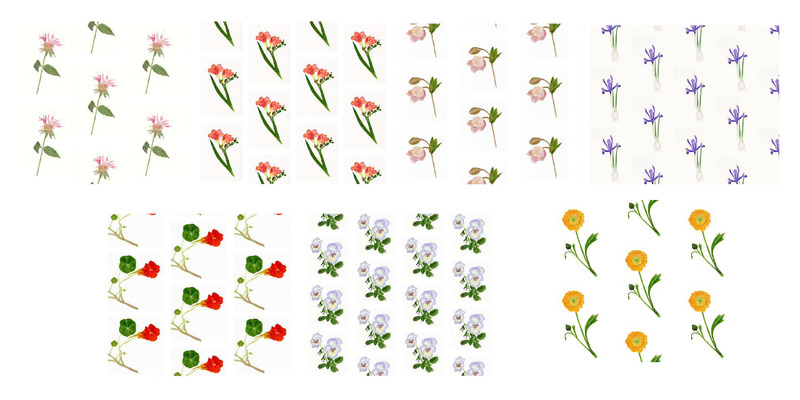 I’ve designed fabric with one of my own watercolour botanicals. 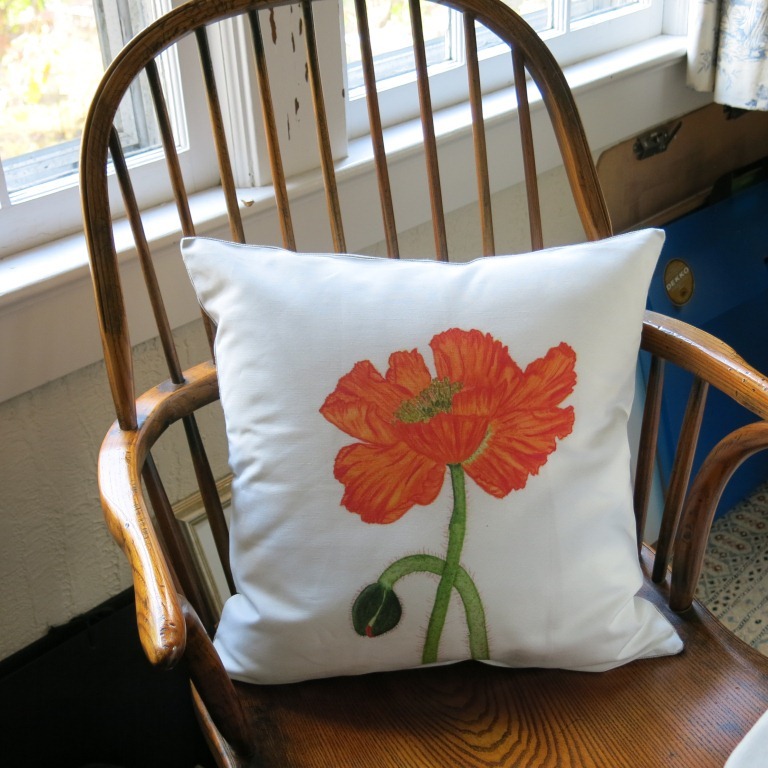 The ‘Poppy’ looks really fresh and striking and I’m very pleased with the feedback I’ve received. This design can be ordered in a choice of fabrics from Spoonflower.com. The design is also available as wall paper and gift wrap. It is a very nice company and the printing is of high quality. They use vegetable dyes and all printing is done in the USA. Below are images of some products I’ve made using my fabric design. Tell me what you think! Since the debut of “poppy.” additional patterns have been introduced. A single yard will have front panels for several pillows. 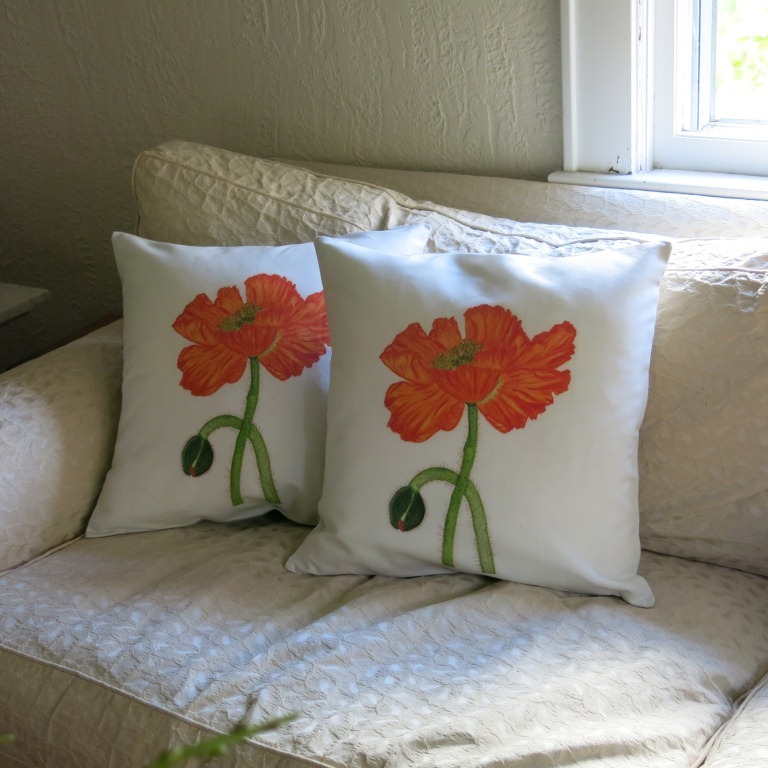 The fabric I used for these pillows is linen-canvas. 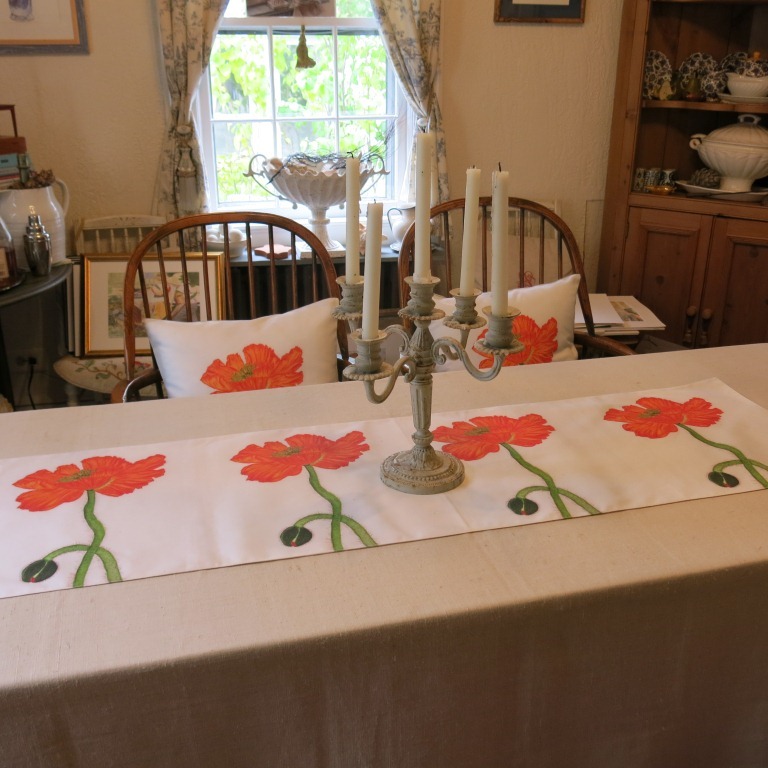 The table runner and mats are made from linen-canvas fabric. 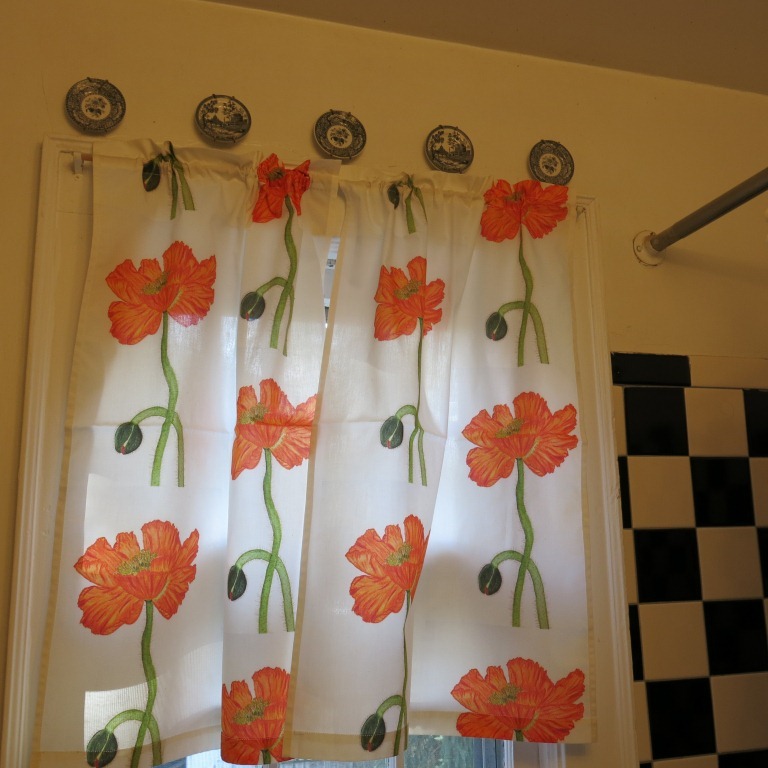 These café curtains are in cotton poplin. 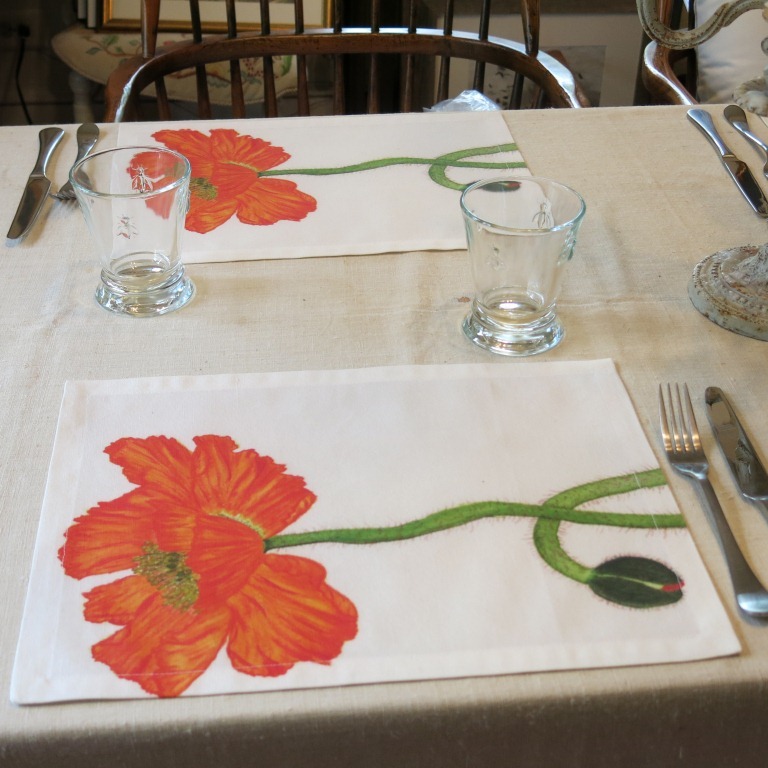 I love all the seeds of design flowers and this poppy lends itself to fabric – clean, colorful and useful. Gorgeous! So clean and bright! Do you ever rest? Gorgeous, stunning, fresh and bright. So elegant. Love it. Love the swatches of the other flowers too. You are amazing and have done so much.